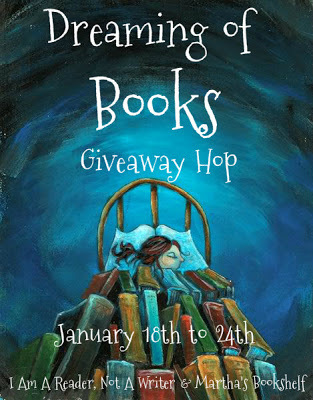 Today I'm excited to participate in the Dreaming of Books Giveaway Hop co-hosted by I Am A Reader Not a Writer and Reviews By Martha's Bookshelf. This is my opportunity to share some fantastic books with you that I've either read or am dying to read and to say thanks to you all for being such great followers. Here's the choices for this giveaway. Just click on the titles to read a description from Goodreads. One winner will win the book of their choice. To enter, all you need to do is be a follower (just click the follow button if you’re not a follower) and leave a comment by midnight on January 24th telling me the book you'd like to win. I'd love if you'd let me know what other upcoming releases you're looking forward to. This will help me pick books for future giveaway hops. I’ll announce the winner on January 28th. If your e-mail is not on Blogger, please list it in your comment. Here's what's coming up. I hope you're as excited as me about it. Next Monday, I'm interviewing our follower Leigh Moore and giving away a copy of ROUGE, her fantastic gritty, romance set in Reconstruction New Orleans. I don't read any romance books, but loved this one. Next Wednesday, I'll be participating in Michael Pierce's blog tour and giving away a copy of PROVEX CITY, an urban fantasy told from a male POV,which also has some contemporary issues. 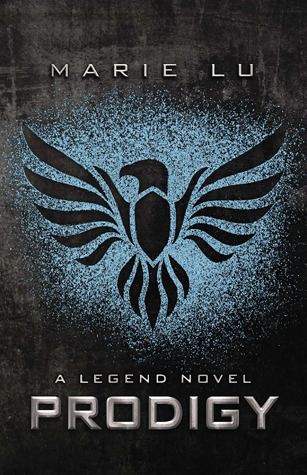 Then, on the last Monday of the month, I'm interviewing Marie Lu and giving away an ARC of PRODIGY, her fantastic second book in her series. I'm SO excited to share Marie's book with you because it's so good. Marie is so kind to stop by for another interview, with her busy schedule. She's already had an amazing career as an author and I can't wait to find out what's been going on with her since she became a debut author a year ago. And if you come here only for these big giveaway hops, be sure to stop by on February 20th when Casey and I are doing a big 3000 follower giveaway. It's going to be even bigger than this giveaway hop. I would love Throne of Glass! The Mist on Bronte Moor, written by a woman in my critique group, is AWESOME! I am slightly biased, but it is such a great book, that I would love it to be part of a giveaway. Thanks again for a great blog, Natalie. Wow! Good luck with the blog hop. I'd love to win DAYS OF BLOOD & STARLIGHT :) And there are some really promising new releases I'm looking forward to - but Divergent #3 and Tana French's new book are the two that I'm looking forward to the most. A hard choice, but I'll go with Shades of Earth. And congrats on the 3000 followers mark! I'd love to win Beautiful Redemption! Wow, so many awesome books! I've been dying to read DAYS OF BLOOD & STARLIGHT the most out of all of those! Oh, I want to read most of these! You've picked some amazing books. I've been waiting for a long time to read Prodigy and Through the Ever Night. I'd love either Days of Blood and Starlight or Falling Kingdoms. :) thanks so much!! I'd love to win Falling Kingdom, and among others I'm looking forward to reading Dark Triumph and Austensibly Ordinary. Wow! That is a great list! Hard to choose. 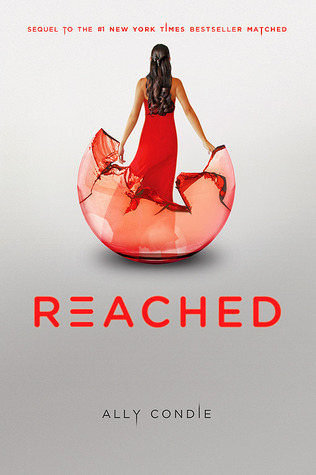 But, I would love to read Reached as I very much enjoyed the first two books in the series. I'm divided between Shades of Earth and Blood and Starlight, because I'd have to read the previous books. But I would, gladly! It's not really a new release, but I'm looking forward to N.D. Wilson's second book in the Ashtown Burials series. I enjoyed the first book and I really, really need to pick up the second. I think it's MG, not YA, though. Great books. I would like (hopefully) City of Thousand Dolls. Wow! What a great giveaway! I would love to win PRODIGY! Some of the other new releases I'm excited about are BOUNDLESS, UNRAVEL ME, and even though it's not coming out for a while, I'm super excited to read SIEGE AND STORM! I have to pick one (& just one, lol)?? I think I'd go with FALLING KINGDOMS. I would really love Through The Ever Night, I have been desperate to read ever since I finished Under The Never Sky! Sign me up for a chance to win Through the Ever Night. I think you do a GREAT job of finding new books to promote!!! Wow! What a crazy, long list of participators! I would love to win City of a Thousand Dolls. Thanks for the chance! Thanks. I would like Throne of Glass.I am looking foward to Unravel me by Tahereh Mafi. I`d love to win Falling Kingdoms. I`m looking forward to reading Splintered and The Archived. 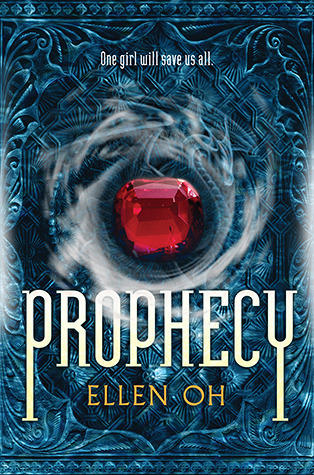 Prophecy by Ellen Oh sounds really good. I'd love to win that If I'm lucky enough to win! Wow, these giveaway hops are so huge! Days of Blood and Starlight for me, please! Thanks, Natalie! Days of blood and starlight! Oh, goodness. Maybe Beautiful Redemption. Hard to choose. I'm not sure, maybe Falling Kingdoms or Scarlet. Thanks for the giveaway! I'd love to win Shades of Earth. A book to which I'm looking forward this year is Premeditated by Josin L. McQuein. I'd like to win Falling Kingdoms. Hi there, I think that I would like to read all of these! If I had to start with one though I would start with Reached. There are so many I want to read right now though it's hard to decide and also hard to keep track of all that are coming out. Thank you for the chance to enter the giveaway! I'd like to win Beautiful redemption, please! I'm excited for THE ARCHIVED! But SHADES OF EARTH is also on my wish list!! irrelevantheart AT gmail DOT com! Oooh, so many to choose from... I'd have to go with Throne of Glass. Some others I'm looking forward to are Level 2, Control, Nantucket Blue, and Taken. I'd like to read Throne of Glass. I've seen it around a lot and just sounds great! I would pick Days of Blood and Starlight. I'd love to win Shades of Earth! It'd be Throne of Glass for me. I would love to win Beautiful Redemption. I follow via email. One release I'm looking forward to is Just Breathe! Thanks for the giveaway! I would like to win Starcrossed by Josephine Angelini and I am looking forward to her sequel Goddess. I'd love to win Prodigy. And I'm looking forward to Sever by Lauren DeStefano. I'd like to win Throne of Glass. I'd love Scarlet by Marissa Meyer :D I FREXING LOVED Shades of Earth!!! Everyone needs to read it :D Cannot wait to read Everbound by Brodi Ashton and Boundless by Cynthia Hand either!! Thanks so much for the giveaway! There are so many awesome books to choose from! Hmm...I think I'd have to go with City of a Thousand Dolls! Also, I follow via GFC. I'd love to win Scarlet. This is a great group of books! Great book choices! I wish I win Beautiful Redemption. Thanks for the giveaway! Falling Kingdoms, or Throne of Glass, please! I would have to say Through The Ever Night. I follow GFC as Angie, and I'd love to win Prodigy by Marie Lu. I would love to read City of a Thousand Dolls. I'd love to win Beautiful Redemption. There are so many that I am looking forward to, but Boundless is one I am super excited about! I want Reached way way bad ! Thanks for the awesome giveaway! I'd like to win Scarlet by Marissa Meyer. :) Some of the books I look forward to this year are Taken by Erin Bowman, Transparent by Natalie Whipple, and The Elite by Kiera Cass. Thank you for the giveaway, I´d like to win Reached. Thank you so much for the chance to win! I would love FALLING KINGDOMS. I'd love to win Prodigy. Thanks for the giveaway! I'd choose Through the Ever Night. City of a Thousand Dolls sounds pretty shnazz. I also want to read Days of Blood and Starlight, but I don't own the first book. Thank you so much for the giveaway! As far as future books, I'm not sure. Your choices here are awesome! So many great choices. But I'd choose Scarlet. Thanks! I'd love Through the Ever Night. The Indigo Spell, Edge Of Dawn, Twice Tempted and Lover At Last! 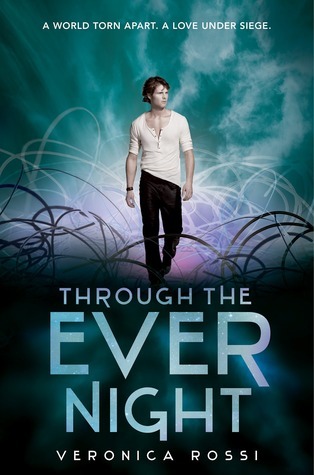 I'm undecided between Black City and Through the Ever Night, both are on my TBR list. In 2013. I'm really looking forward to Unravel Me by Tahereh Mafi, last book in Divergent trilogy, Siege and Storm by Leigh Bardugo, Dualed by Elsie Chapman, Pivot Point by Kasie West, Gameboard of the Gods by Richelle Mead, The Collector by Victoria Scott.. Shades of Earth is probably my first choice, or Prodigy. In 2013 I'm looking forward to Asunder by Jodi Meadows, Sever by Lauren DeStefano, Boundless by Cynthia Hand, Requiem by Lauren Oliver, Unravel Me by Tahera Mafi. So many that I want! In 2013 I am looking forward to a lot of books. For the month of February though I am looking forward too Unravel Me, Sever, & The Indigo Spell. 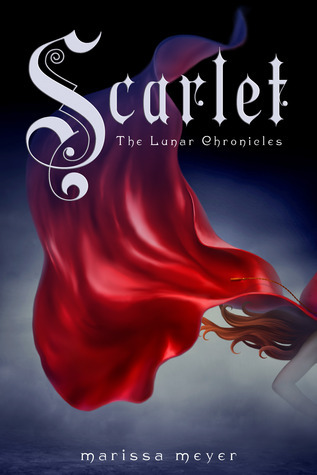 I'd love to win Scarlet by Marissa Meyer. I'm looking to the release of The Indigo Spell next month! Thanks for the giveaway! I'd love to win Scarlet. I'm also really looking forward to Strands of Bronze and Gold as well as other upcoming releases that are retellings of classic fairytales and stories. I'd love to win Scarlet! If I win I'll most likely pick Throne of Glass! Thanks for the great giveaway and for making it international! I'd love to win Scarlet ! I'm looking forward to Origin by Jennifer L Armentout ! I'd love to win Throne of Glass, Under the Never Sky, Beautiful Redemption, Scarlet, or City of a Thousand Dolls. So many choices! Thank you for the giveaway! I would love to win Beautiful Redemption! I would love to win Throne of Glass! Thanks. And one book I am really looking forward to is HOW I LOST HER by Janet Gurtler. I'd love to win Through the Ever Night! A book I'm looking forward to is Unravel Me by Tahereh Mafi. 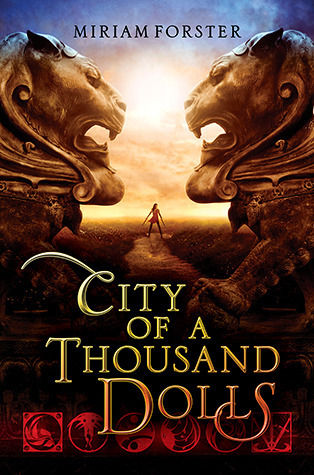 I think I'd love to win City of a Thousand Dolls! I'm really looking forward to reading Unravel Me! Thanks! Thanks for the giveaway. I would love to read The Days of Blood and Starlight. I'd love to win Scarlet! 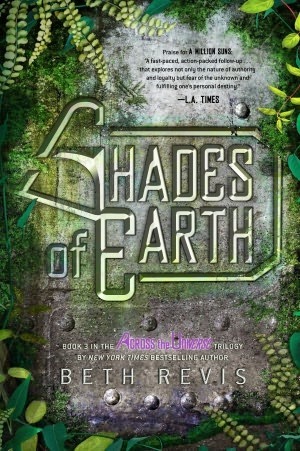 I'm really looking forward to reading Shades Of Earth as well! I'm really looking forward to The Goddess Inheritance. I would love to read The Days of Blood and Starlight. This is difficult since all the listed books are on my wish list...except Falling Kingdoms which I got recently and finished (Loved It!). I'd probably pick Throne of Glass, Days of Blood and Starlight or Black City. I would love to win beautiful redemption or black city! I am most looking forward to the moon and more by Sarah dessen, Star Cursed by Jessica spotswood, goodess by Josephine Angelini! All books was amazing, it's hard to choose!! 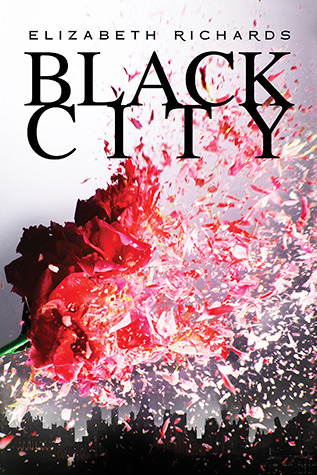 I think i wouls love to win Throne of Glass or Black City. 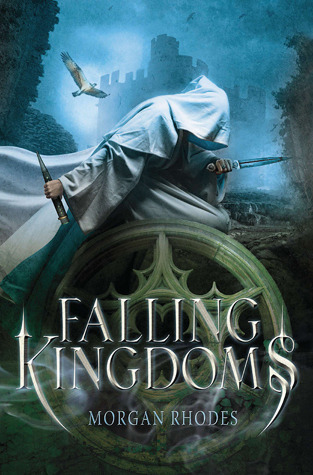 I'd love to win Falling Kingdoms~ also I'm really looking forward to Requiem (Delirium #3) coming out this year! I would LOVE to read "Scarlet." I think that book looks awesome!! I'd love to win Throne of Glass! Thanks so much for the giveaway! 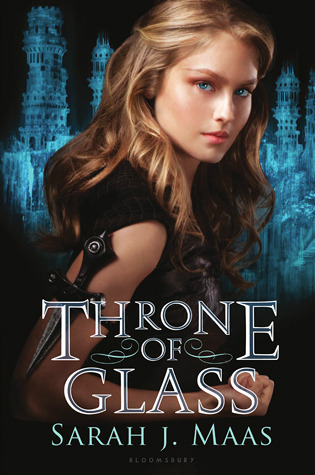 I'd love to win Throne of Glass :) Thanks for the giveaway! I would love to win Shades of Earth! I am looking forward to reading Clockwork Princess, Nobody But Us and Walking Disaster! Thank you for the giveaway! Scarlet, I have been dying for it to come out. I can't wait for Perfect Scoundrels, Unravel Me, With All My Soul, Clockwork Princess and Divergent #3. I'm going with Throne of Glass. Gosh, so many great choices! I think I'd love any of these, but Prodigy would be top on my list. Then maybe Crossed or Through the Ever Night. Thanks for the giveaway! I'd love to win Scarlet please. I'd love to win Throne of Glass! For future giveaways, I'd love to win Rise (Eve #3) by Anna Carey, Imposter by Jill Hathaway, or Unremembered by Jessica Brody. I think I would choose shades of glass, but I would have to look them all up! I would love to win Scarlet! Thanks. I'd love to read "Reached"! Thanks for the chance to win! 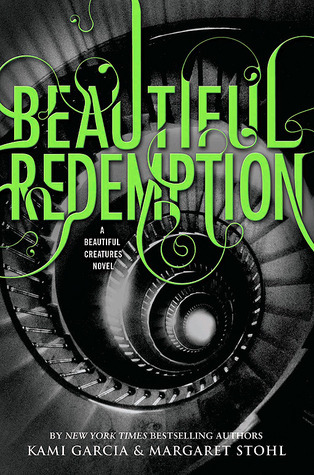 I'd love Beautiful Redemption! Through the ever night, reached or scarlet. :) Please and thank you. I'd like to win Through the Ever Night. I'm waiting for the releases of The Indigo Spell, Tiger's Dream, Clockwork Princess, River of Stars by Guy Gavriel Kay. I think I would choose Shades of Earth :) Thank you so much! omgoodness I want Prophecy so badly especially since I missed the giveaway a few days ago. Love Ellen!!!! I'd like to win Reached! Other books I'm looking forward to are The Indigo Spell by Richelle Mead and Requiem by Lauren Oliver. Thanks for the Giveaway! I'm SO looking forward to Shades of Earth. Would LOVE a copy of that, please! I would love to win Falling Kingdoms! Falling kingdoms! I've heard great things about this book. Hi, thanks for participating in the Hop! I'd love to win Black City. Thanks for the chance to win! I would love to win Through the Evernight. I am looking forward to Indigo Spell. Thanks! I would love Beautiful Redemption. I would like Throne of Glass! Thank you for the giveaway! Excellent prizes. I would love to win one. I would love to have PRODIGY. Thanks for the giveaway. I would love to win Scarlet... really liked Cinder. I would love to win Through The Ever Night! Thanks for the giveaway! I'd love to win Through the Ever Night. I'd love to have Through the Ever Night. Thanks for the giveaway! So many great books! I'd love the Shades of Earth. :) I've gotten a chance to read a lot of the 2013 debut ARCS through the Lucky 13s. There are so many good ones coming out this year! I'd like to win Prophecy or Throne of Glass. Oh my. I think I'd enjoy CITY OF A THOUSAND DOLLS, SCARLET, or THROUGH THE EVER NIGHT. Great choices! Thanks! I'd love to win Scarlet. I'm also looking forward to The Madness Underneath. Thanks for the giveaway! I would choose 'City of a Thousand Dolls' (although 'Scarlet' is going to be awesome too!!). I'm also looking forward to The Ruining, which comes out in February and Mila 2.0, coming out in March. 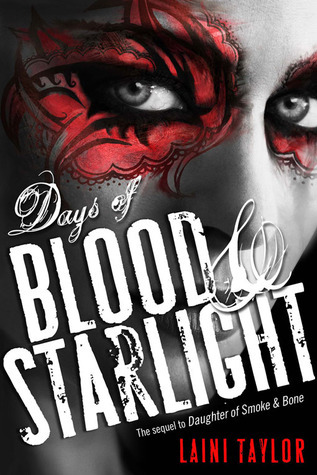 I would love to win Days of Blood and Starlight. Thanks for the giveaway!i have been dying to read shades of earth.